Now in its eleventh year, the Resident Scholar Program provides research grants to scholars interested in conducting work in SCARC. Stipends of $2,500 per month, renewable for up to three months (for a total maximum grant award of $7,500), will be awarded to researchers whose proposals detail a compelling potential use of the materials held in the Center. Grant monies can be used for any purpose. Researchers will be expected to conduct their scholarly activities while in residence at Oregon State University. Historians, librarians, graduate, doctoral or post-doctoral students and independent scholars are welcome to apply. The deadline for submitting proposals is April 30, 2018. Now in its tenth year, the Resident Scholar Program provides research grants to scholars interested in conducting work in SCARC. Stipends of $2,500 per month, renewable for up to three months (for a total maximum grant award of $7,500), will be awarded to researchers whose proposals detail a compelling potential use of the materials held in the Center. Grant monies can be used for any purpose. Researchers will be expected to conduct their scholarly activities while in residence at Oregon State University. Historians, librarians, graduate, doctoral or post-doctoral students and independent scholars are welcome to apply. The deadline for submitting proposals is April 30, 2017. It is anticipated that applicants would focus their work on one of the five main collecting themes of the Special Collections and Archives Research Center: the history of Oregon State University, natural resources in the Pacific Northwest, multiculturalism in Oregon, the history of science and technology in the twentieth century and/or rare books. Many past Resident Scholars have engaged primarily with the Ava Helen and Linus Pauling Papers, though proposals can address use of any of the SCARC collections. Justin McBrien, a Ph.D. candidate in the Corcoran Department of History at the University of Virginia, is the most recent individual to complete a term as Resident Scholar in the Oregon State University Libraries, Special Collections and Archives Research Center (SCARC). The Resident Scholar Program, which is currently accepting applications for the 2016-17 academic year, awards stipends of up to $2,500 for a month’s study in the OSU Libraries. Historians, librarians, graduate, doctoral or post-doctoral students as well as independent scholars are all welcome to apply. McBrien’s visit made use of SCARC’s collecting strength in the history of atomic energy, and he studied multiple collections including the Ava Helen and Linus Pauling Papers, as well as several of our agriculture-focused collections. Working in support of his dissertation, McBrien was specifically interested in exploring ideas on human-altered weather and the risks that have arisen in kind. In his Resident Scholar lecture, titled “Making Climate Change: The Atom Weather Controversy and the Question of Human Planetary Agency, 1945-1970,” McBrien delved into the question and chronology of atom weather as it has played out in the United States. His talk delineated a theme of his dissertation, which focuses in part on the problems posed by nuclear weapons when used in deliberate ways to affect the Earth. In his presentation, McBrien’s chronology began in the wake of the use of atomic weapons on Hiroshima and Nagasaki, and ran through the 1970s, when ideas about atom weather began to fall out of favor with scientists and the general public. As has been well established, the military use of atomic bombs in 1945, and the subsequent desire by the United States government to test more and new weapons as the Cold War escalated, posed both new questions and new fears for scientists and the public alike. As part of this rapid shift in the culture, appeals were also made to President Truman to explore other uses for the bombs – peaceful uses that would ostensibly deploy the technology through means that could potentially benefit humanity. One such branch of inquiry was atom weather. But what is atom weather? Simply stated, the concept of atom weather centers around the degree to which nuclear explosions might be used to alter the planet’s weather in varying ways. Many ideas related to atom weather were worrying. Some held that atomic debris could act as a nucleating agent and could alter the albedo of the Earth, perhaps triggering a new ice age. Others feared that nuclear explosions could change the electrical conductivity of the atmosphere due to ionization effects resulting from the blasts. 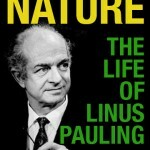 All of these ideas eventually would be connected to the debate over fallout from nuclear weapons; a debate that, of course, involved Linus Pauling as a central character. A more optimistic take on atom weather posited that, while the bomb could certainly serve as a trigger for natural disaster, it might also protect humans from nature by changing unfavorable climates for the better. Equipped with the power of the bomb, humans could take control of the weather and climate, and thus, for the first time, insure a viable future for the planet. As public discourse on nuclear disaster management became a matter of routine, and as the rebound from a nuclear conflagration came to be discussed as if society were recovering from a tornado or a hurricane, nuclear bombs increasingly became linked to broader environmental concerns. These environmental concerns and subsequent debates over human planetary agency came to inform discussions of environmental contaminants like Agent Orange, and remain central to current conversations on global climate change. Though nuclear weapons testing has now largely ceased, the question of atom weather stands as an early marker of the public’s understanding of the fact that humans are capable of influencing the Earth in ways that are unintended and often negative. Indeed, although interest in actively exploring atom weather had basically died off by the 1970s, early ideas concerning human altered weather patterns remain and have informed the growing interdisciplinary study – within the earth, social and ecological sciences – of environmental change. During his time exploring nuclear topics in SCARC, McBrien made use of the Pauling Papers, as well as those of Theodore Rockwell, among others. The Pauling materials provided many jumping off points for new avenues of research to explore, while at the same time encompassing a multitude of topics of interest, including nuclear power, nuclear weapons, and disarmament. In particular, McBrien made heavy use of a series of letters that Pauling received from the public asking him for advice and clarification on the feasibility of human-controlled weather. Although he believed himself to be no expert in the field and was unable to weigh in authoritatively on the debate, Pauling believed the idea of atom weather to be entirely possible. McBrien also capitalized on SCARC’s agricultural collections to explore research done on Oregon farms in the 1950s, work carried out as part of a larger federal study on weather control and cloud seeding. The Resident Scholar Program at OSU Libraries is now in its ninth year of operation. For more about past Resident Scholars, please see the program’s homepage. Now in its ninth year, the Resident Scholar Program provides research grants to scholars interested in conducting work in SCARC. Stipends of $2,500 per month, renewable for up to three months (for a total maximum grant award of $7,500), will be awarded to researchers whose proposals detail a compelling potential use of the materials held in the Center. Grant monies can be used for any purpose. Researchers will be expected to conduct their scholarly activities while in residence at Oregon State University. Historians, librarians, graduate, doctoral or post-doctoral students and independent scholars are welcome to apply. The deadline for submitting proposals is April 29, 2016.